What makes the ARCAD foundation unique ? Why was a foundation necessary ? The ARCAD Group, an international scientific committee appointed by the Board of Trustees on April 15, 2008, brings together more than 70 international opinion leaders in the field of digestive oncology. 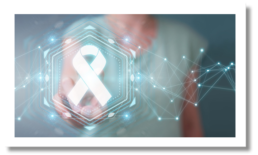 Two objectives : (i) construct a database pooling individual patient data from trials in mCRC and (ii) standardize the role of progression-free survival (PFS) and related endpoints in mCRC trials. LMS Program is a prospective international database with more than 70 participating countries. It focuses on patients operated for colorectal liver metastasis, whether resected or not. In this chapter are collected all international ARCAD Foundation publications since 2009.